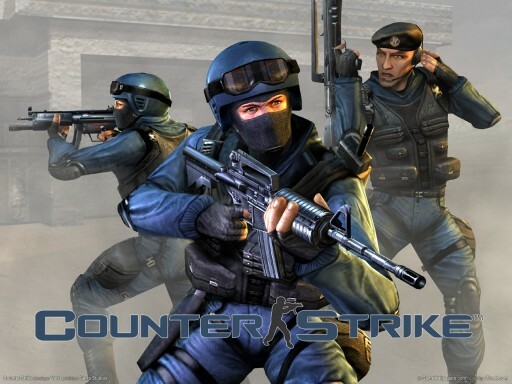 Hello all gamers present out there, this one is for you all… yesterday while returning from the examination center me and my friends were discussing about modifying the radio commands in counter strike (being a hosteler counter strike is the major part of our life 😉 ), so here i am with the trick to modify the the radio commands in counter strike. It will be a completely new experience when you play your favorite in our own personal or regional language, the time I had done this am not leaving my PC therefore got late to write about it. Find the radio command which you need to change, they are usually by there name so there shouldn’t be any difficulty. Use sound recorder to record a command in which ever language you want. Save the recorded file with the same name which you selected in the radio commands directory. Replace the new recorded file with the previous one and you are done. I have recorded many sounds, you may use any pre-recorded sound if u don’t wanna record…. it will surely add a new experience to your gaming. I really appetciare free, succinct, reliable data like this. thank u sir.. we recently had a CSL in our college and i guess all the big teams missed u.. I just want to mention I’m all new to blogging and site-building and seriously liked you’re blog. Most likely I’m going to bookmark your website . You amazingly come with wonderful well written articles. Kudos for revealing your blog site. How long did it take you to research this work? Amazing! how can get those radio commands recorded by you…..
i’m waiting for your reply………………..
how can i get those radio commands recorded by you…..